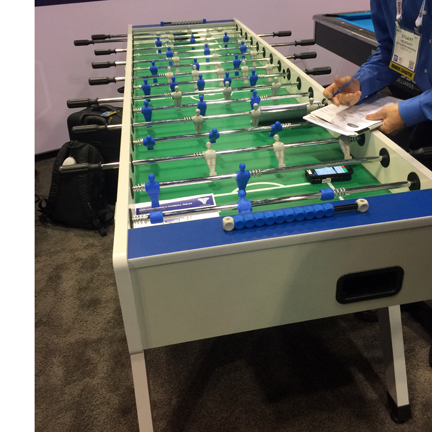 8 Player XXL Foosball Table - Our extra large, 8 player foosball table offers increased fun and interesting action, thanks to its extra long playing field.. Play with 1 or 2, or more foosballs on the table at a time, for continuous fun! Includes: Game table and 4 foosballs. Requires: approx. 9’l x 6’w space. Great for ages 8 & up.